FTC Disclosure: I have partnered with the Conquer Your Clutter Super Bundle to tell you about these amazing resources. As an affiliate, I receive a commission if you purchase one of these bundles through my link, at no additional cost to you. 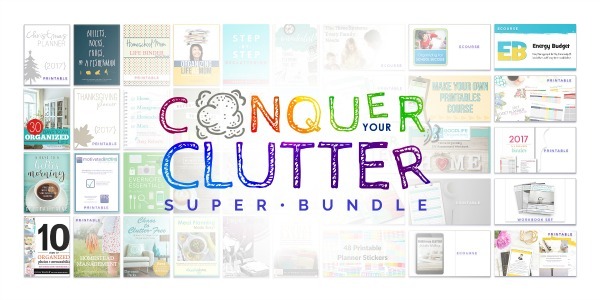 I know you want to get your home and life organized and decluttered this year, and so I'm excited to tell you about the Conquer Your Clutter Super Bundle that is currently on sale, for today only. This bundle has awesome resources that can help you meet your goals, and since it's over 95% off when you purchase the bundle, instead of each item separately, it's the perfect time to check it out! 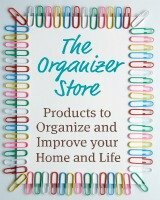 You've got great reasons for wanting to be more organized. You want the best for your family. You want to teach your kids to live in calmness, not chaos. You want to be patient without losing your ever-lovin' mind in the insanity of so much stuff. And you just want to savor the time you have, instead of running around chasing clutter. That's why I created the resources on this site, including the 52 Week Organized Home Challenge and the Declutter 365 daily missions. 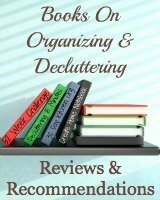 But I know that there are lots of approaches to organizing and decluttering, plus lots of different perspectives on the topics, many of which can be helpful, especially as you find what resonates with you and your personality and current situation. It is also why I am so excited to tell you about the Conquer Your Clutter Super Bundle. 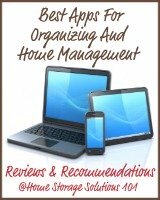 It's a great collection of organizational resources for a crazy low price. 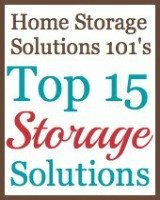 You need to see it to believe it, but the package includes 36 digital products on topics like how to organize your photos, decluttering, family systems, meal planning, time management, and much more. All together, it's worth over $650! 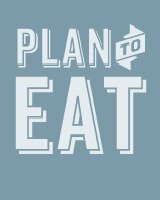 There are 5 ecourses, 13 planners and 18 ebooks. You can click here to see the full list of resources, with descriptions of what they are. When people look at the Conquer Your Clutter Bundle they can easily get overwhelmed with all the resources available, and I understand that. Realistically not all 36 resources will be things you're interested in, and that's OK because these are all digital resources and you can download only those things you actually will read or use, so you neither have physical or even digital clutter. The best way to see if the Conquer Your Clutter Super Bundle would be a good deal for you is to review the full list of resources with a pen and paper in hand, and jot down the resources you'd like to read or the courses you'd like to take. Then add up the price of those resources individually using a calculator. Once you do this you'll quickly see how much sense it makes to get the bundle. I never recommend things I wouldn't get for myself, and so I did this exercise for myself, to see if this bundle was really a good deal. Here are some of the products I was most excited about in the bundle. Plus, several of these products I've listed below are worth more or almost as much by themselves as the full price of the bundle. Any of these resources, by themselves, would make this bundle a great deal, but of course you also get access, as part of the bundle, to a total of 36 resources. I encourage you to learn more about these additional eBooks, printables, eCourses and more here. The Bundle's Been Updated For 2018 So Planners & Printables Are Up To Date! There are quite a few printables and planners included within this bundle, so to make sure you got a great value the planners and printables have been updated for 2018 so it's up to date for everyone purchasing it today! Just about everyone I know (including me) struggles with paper clutter, and also as technology becomes more and more prevalent, digital clutter. I think you will enjoy many of the resources I mentioned above, but remember there are 36 of them, so I would encourage you to check out the full list of resources and add up your favorites to see how much you'd save when you purchase the bundle too. As if all of the digital products themselves weren't enough enticement, there are also two bonuses available when you purchase the bundle with a total value of $40. Click here to learn more about all of these bonus offers. 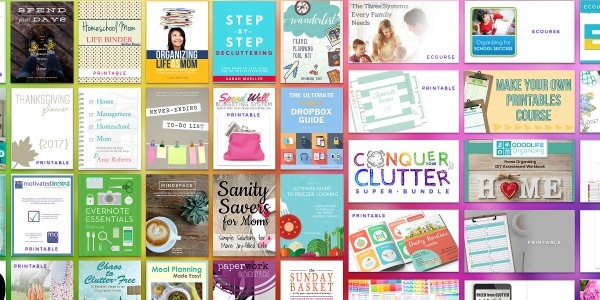 The Conquer Your Clutter Super Bundle sale is only for today. After all, the authors of all these products can't practically give away their products for such a deep discount for long! Finally, this Bundle has a 100% happiness guarantee refund policy. If you don't love it just email customerservice@ultimate-bundles.com within 30 days to ask for a full refund. No one should have to feel overwhelmed one more minute because it costs too much or they can't get the help they need. By finding systems and strategies that really work for us, our home and daily life is much calmer than it used to be. It has made all the difference in the world and I want the same for you and your family. When you pick up the Conquer Your Clutter Super Bundle you can get it, PLUS four other bundles, by buying the All-Access Pass for $67. With the all-access pass you can get eBooks, printables, and eCourses to help you if you have kids, fitness goals, healthy living resolutions, clutter to conquer, and more. Because of all the questions about this very popular bundle, I've also created a Frequently Asked Questions page about it, at the link, which you can check out here if you want to know even more!